Being a successful blogger is not only providing excellent service to your readers but making sure your work flow is running smoothly and efficiently. With all the readers and their needs and wants, it is easy to get lost in a mountain of work. You may love your job but you don’t need to be consumed by it. 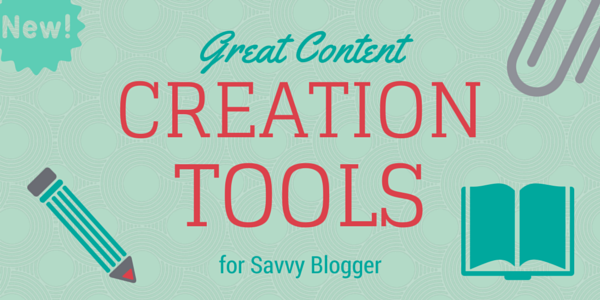 There are tools that help make your blogging life easier and your job just a bit less stressful. First thing is before starting any work today- take an inventory of your work load. What parts of your work are you striving to keep up with and what parts are running smoothly? It is best to start with the areas that need more help than others. Soon you will be one efficient blog content creator with enough time to sip that latter. Dropbox. Dropbox can be used on different operating systems and can be linked to other devices. Google Drive. Google Drive is accessible to you anywhere you have access and since it is easy to use, many people can use it regardless of where they are. SkyDrive. This is the Microsoft storage cloud and it is ideal if you are running Windows 8 and have Windows devices. You know your clients and you know what they expect from you and that is great but that doesn’t mean your life is simple as pressing a little button. Here are some other tools that are free that might make your work day go a little smoother. EssayMama. Even if you're not a student anymore, you still can use this service for custom essay writing needs. As a content creator you need 100% original content from experts in your industry, right? Then Essay Mama is best the place for you. Use a password manager. You know you have dozens of passwords to remember. Use on of these tools to keep your passwords organized and always at hand. Try out these password managers such as LastPass 3.0 and KeePass. F-Secure Key is free for one device but you can upgrade to multiple devices. Evernote. Evernote is available on many devices and you can do a lot with it. You can write reminders, capture video and sound, and also capture images. This is like your brainstorming center. Let’s say you are waiting for the dentist and a great idea pops in your head. With Evernote, you can capture your idea and access it anywhere. Mind42. Here is another free tool where you can jot down ideas on a particular project and let’s you see how the ideas work together. This is very similar to brainstorming maps that you may have done in school, in fact this a “mind mapping” tool. Piktochart. Piktochart allows you to create beautiful infographics easily. You can even store the infographics and make as many changes as you need. Facebook and Twitter are really the heart of what you do and also how you advertise your services. Yet, if you have three, four, five, six or more clients you might get lost in a sea of yellow post it notes reminding you to write this tweet or post this on this client’s page. Use these tools to make posting quicker and more efficient. Tweetdeck. Many people love Twitter and turn to Twitter to make a quick announcement or a statement. With Tweetdeck, you can manage multiple Twitter accounts from one page. So you can write those tweets in very little time. The best part is this FREE and there is no limit to how many profiles you can manage. Hootsuite. This is a social management tool that lets you manage Twitter, Facebook, Google plus and more. There are plenty of other features. There is a free option which allows up to five profiles and two RSS feeds. Yet, for $9 a month you can get up too 100 profiles. Buffer. Like Hootsuite, Buffer offers a free option and a pay option. The free option allows two profiles and ten items scheduled for posting. Buffer allows you to make scheduled posts on Google plus, Linked in, Twitter and Facebook. You know are busy and if you haven’t done so, make sure to use the programs for the best use of your time. Time management is key to success in any venture but in a business like yours not managing your time may have repercussions, such as you can you lose clients, turn in sub par work or even worse, spend too much time at work and not enough down time. Once you begin working on time management always remember to leave wiggle room for anything that may happen to throw off your schedule. Remember managing your time is to help you be more efficient and more productive in your work day. Remember the Milk. If you have a lot going on and not only with your work but with your personal commitments this one app you should definitely have. It sends you alerts when things are due or deadlines are coming up. Now Do This. If you love to do lists then you will love this. Now Do This is easy and free to use. All you have to do is type in the things you need to get done and then when you accomplish them just check them off. This is much better than paper because you can always lose paper especially if your desk is covered with other paper. Google Calendar. It’s Google and it’s free and if you need a place to plan your week to week activities or day to day tasks then you should really have this on all your devices. The calendar is one of the best tools for long term and short term planning. The success of any calendar program or app is how you use it. You have to make the commitment to use the calendar and use it often and it will be your best friend for time management. Love your blog even more with these helpful tools that take you further in your blog career. Jess Millis, an aspiring writer, savvy content creator, blogger and top-notch content editor. How to Protect Our Environment From Pollution As An Individual. How to Convert Notepad TXT to PDF file without conversion software.